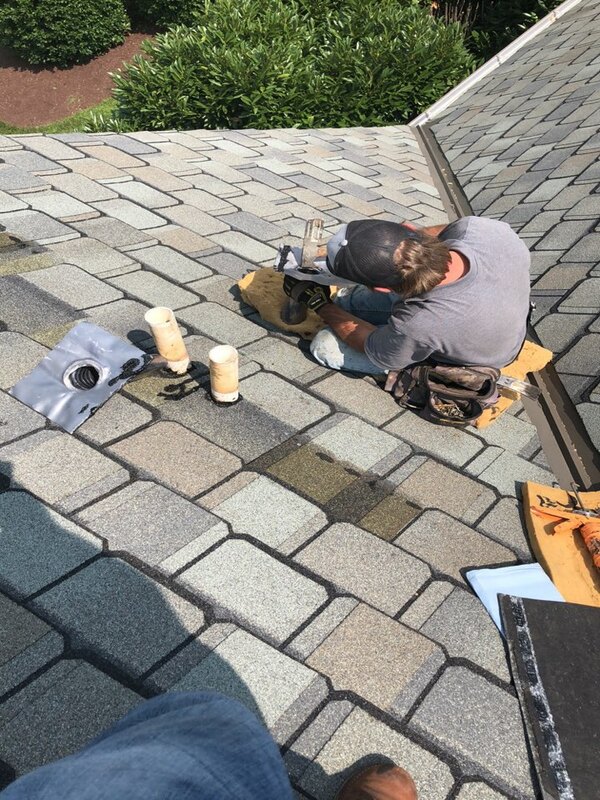 Roofing and other home improvement projects require an ample budget, careful planning, and the right people who’re capable of getting the job done properly and efficiently. If any of these three is missing, chances are, the project will likely fail. 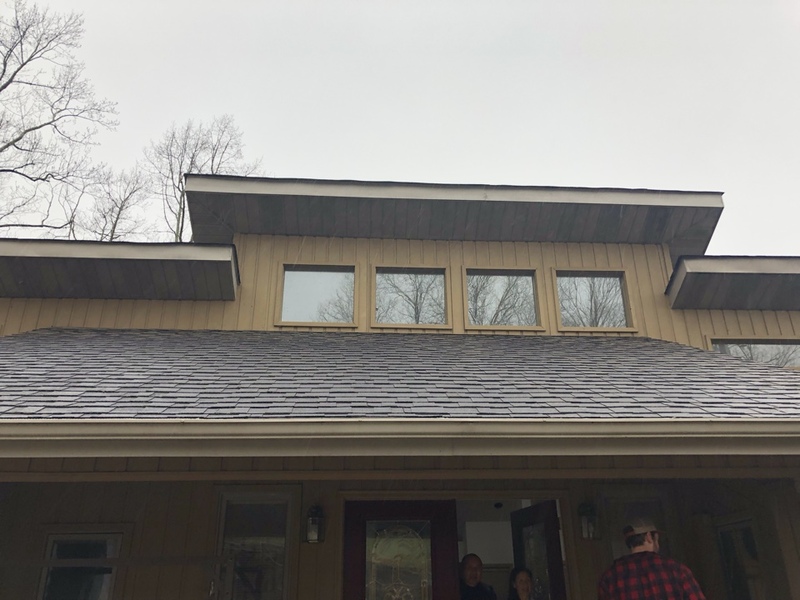 Here at McGuire Roofing & Construction LLC, we offer superior roofing and other home improvement services, making sure they’re budget-sensitive, well-planned, and properly executed. 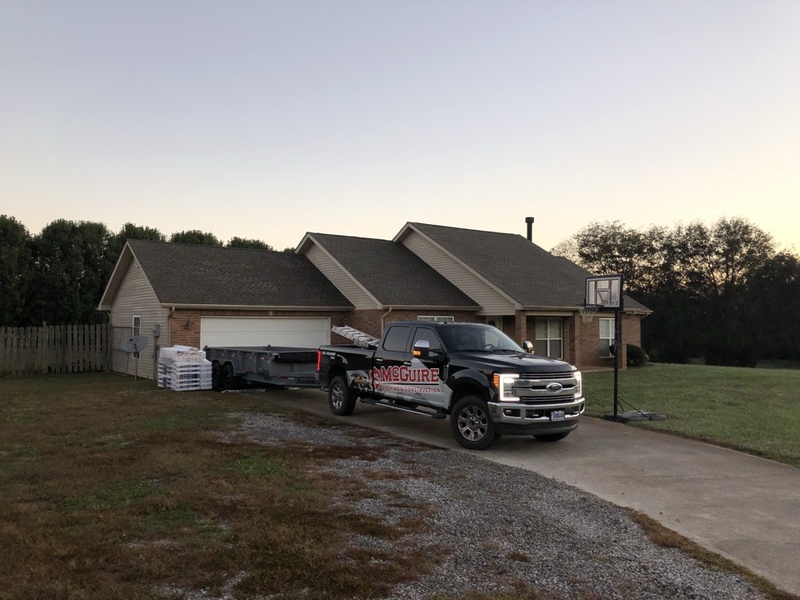 If you are a home or commercial building owner in Lenoir City, TN, or Loudon County or Tellico Village, and are looking for a trusted contractor, then you have come to the right place. 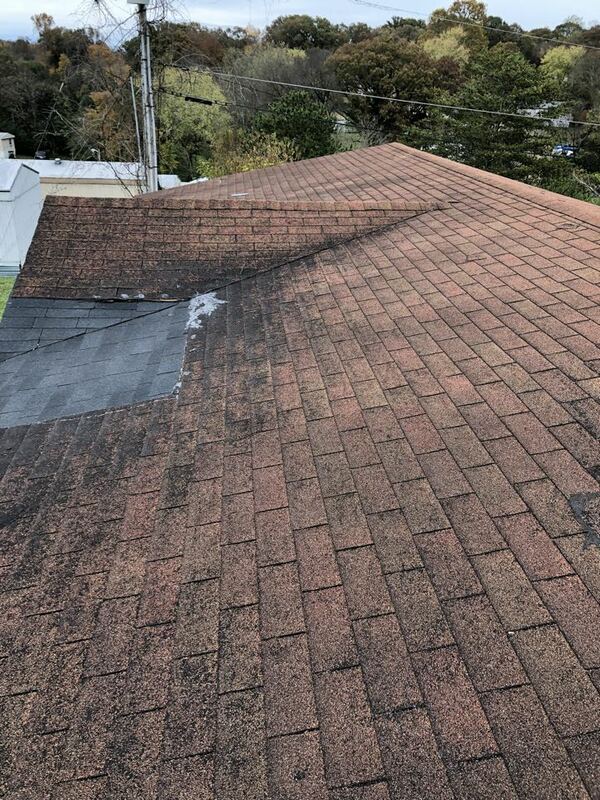 • Roofing – We offer comprehensive roofing services for both residential and commercial clients alike. 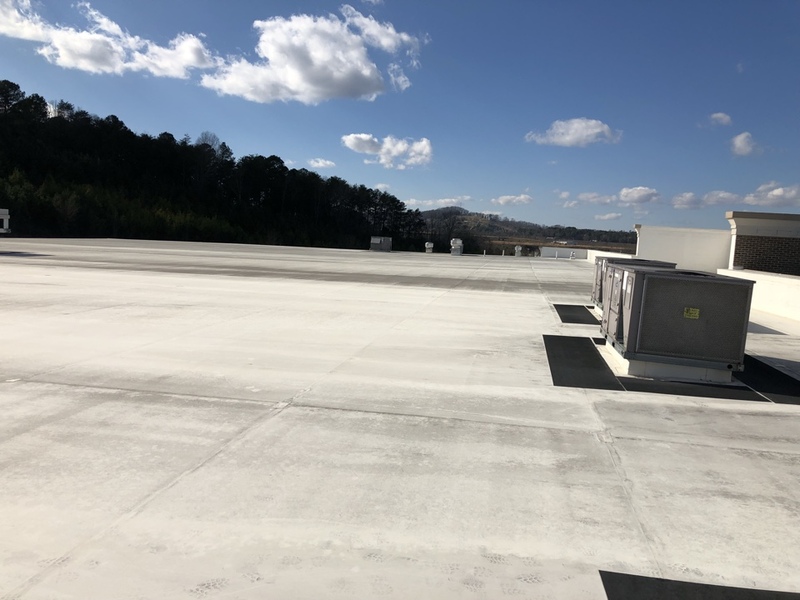 Given our vast knowledge and industry experience, we have expanded our roofing services to cater to the different needs and requirements of our clients. 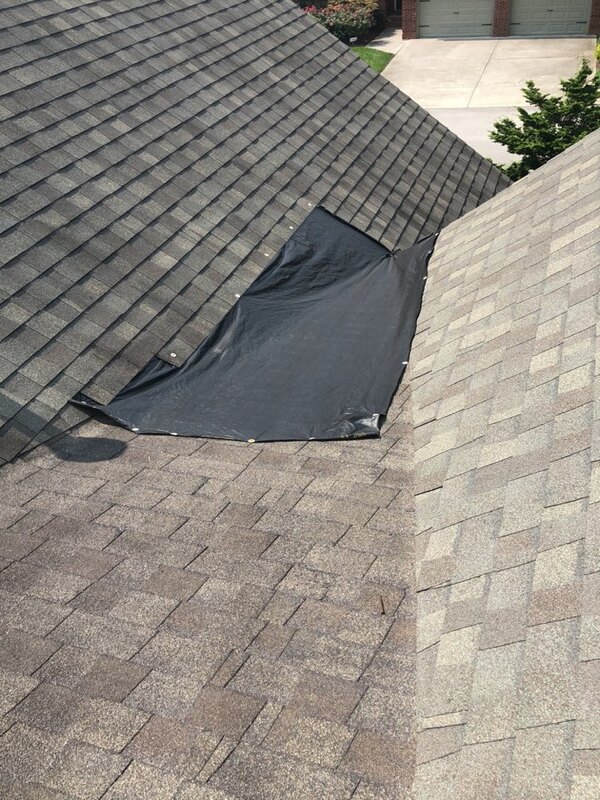 We conduct repairs for busted and leaking roofs that are damaged by storms and severe weather conditions. 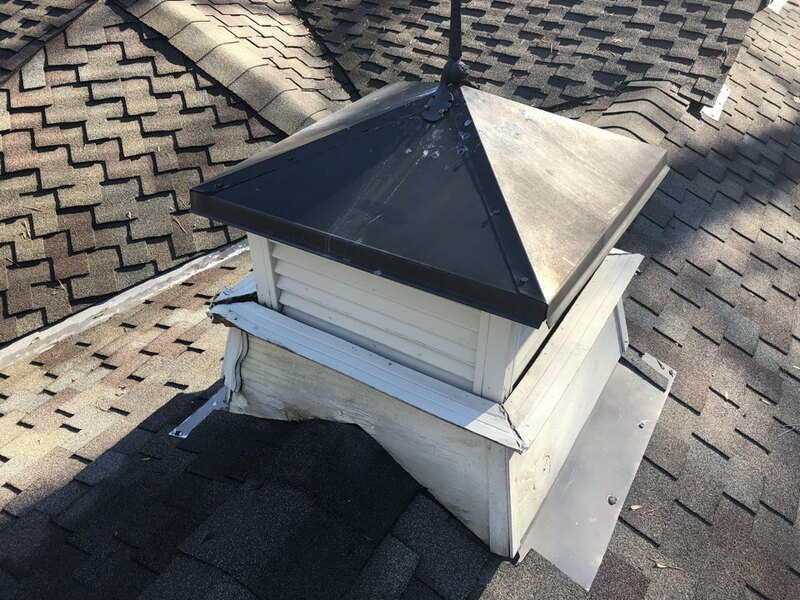 We also offer full roof replacements and installations in cases where the roofs can no longer be saved. 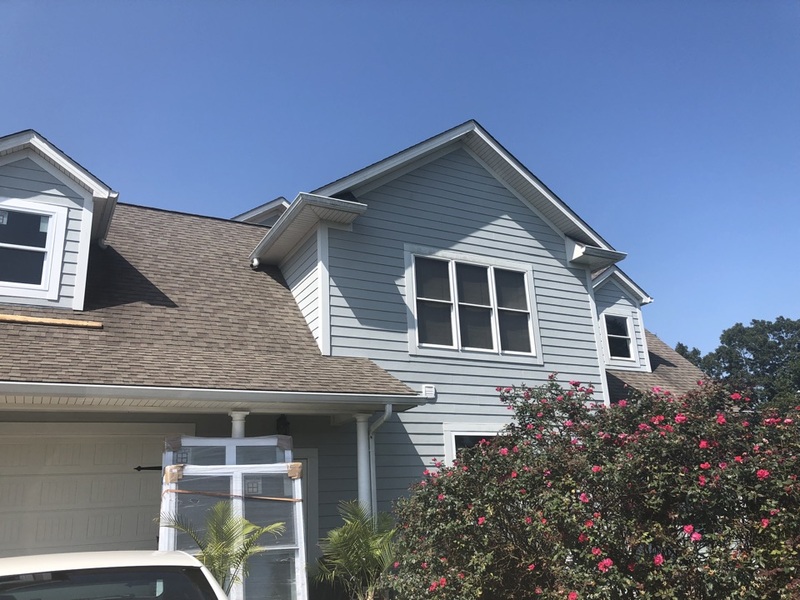 • Siding – We also install high-quality siding for homes that require added protection against outdoor elements. Our siding options come in wood, vinyl, and cement materials that help increase the overall curb value of homes. 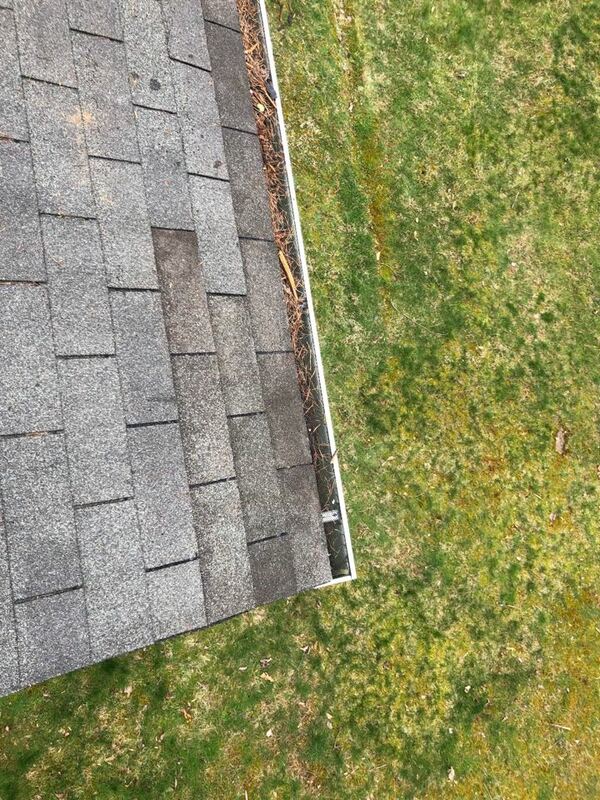 • Gutters – We also take care of the gutters in homes. 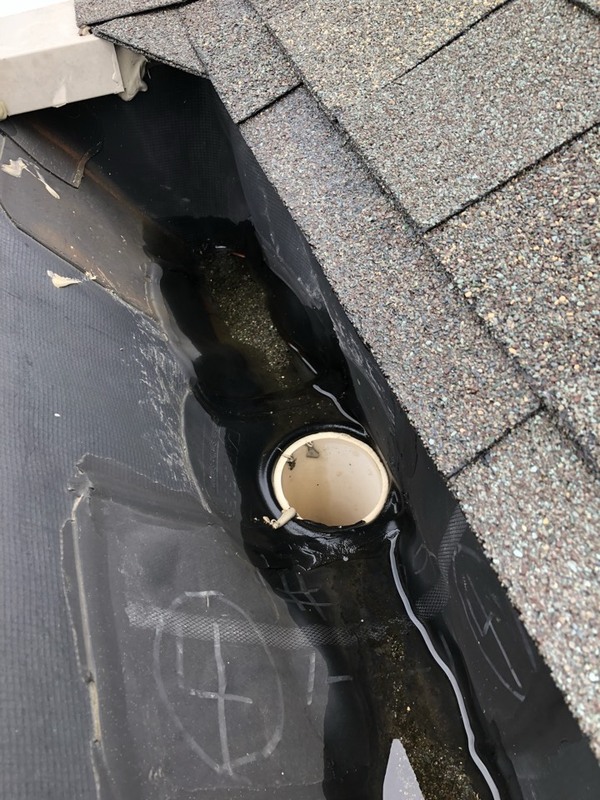 We repair and install new gutters that effectively protect your home’s foundations and structural integrity by making sure the water will flow away toward a safe spot. • Windows – We also install high-quality windows that are energy-efficient and aesthetically pleasing at the same time. • Painting – We conduct painting services for homes and buildings that require a little bit of fresh coating. Our painters pay careful attention to detail to make sure that every area gets covered. 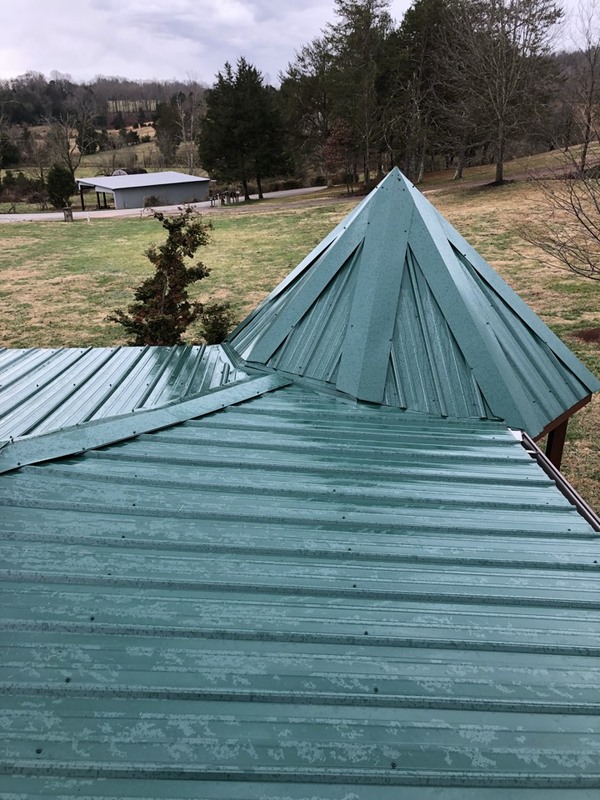 Having a leak-free roof or a free-flowing gutter that is free of clogged debris is something that should be enjoyed by any homeowner in Lenoir City, TN, as well as Loudon County and Tellico Village. 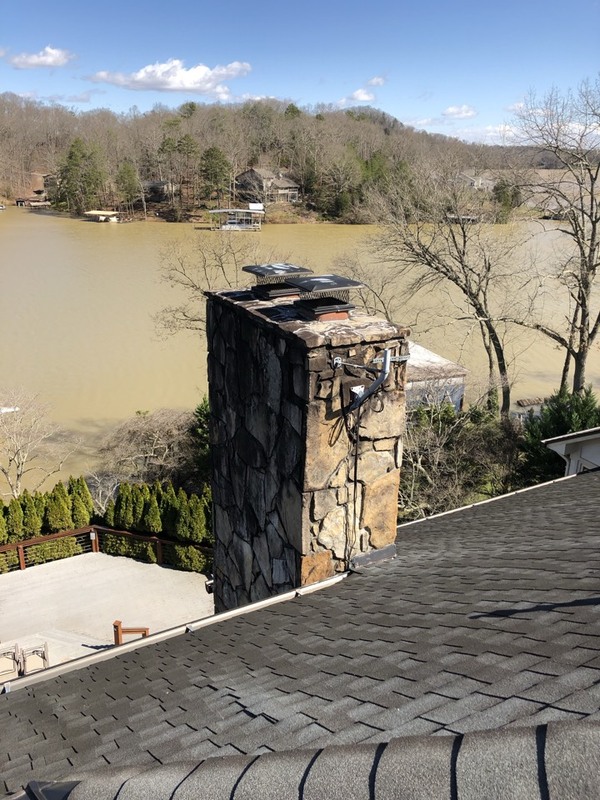 Give us a call at 865-338-7663 (865-338-ROOF) so we can schedule a visit. 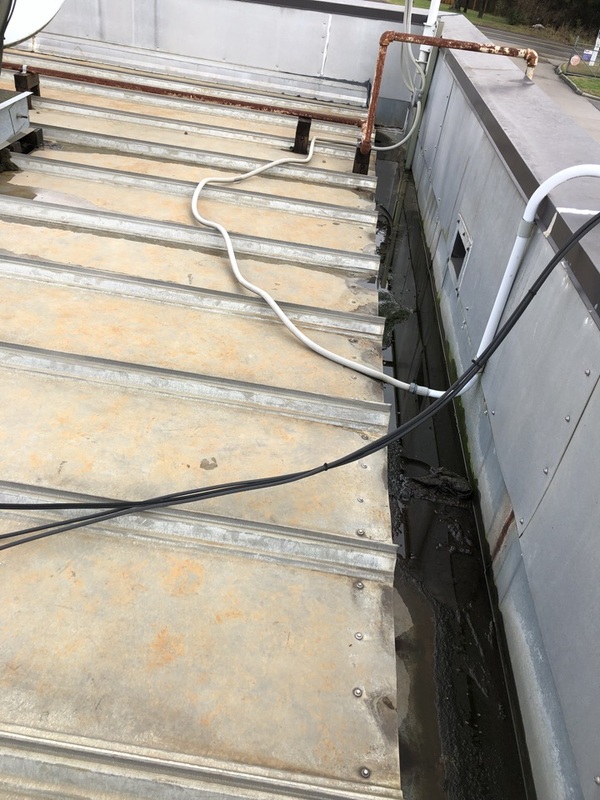 You can also send in our contact form and request for a free estimate. 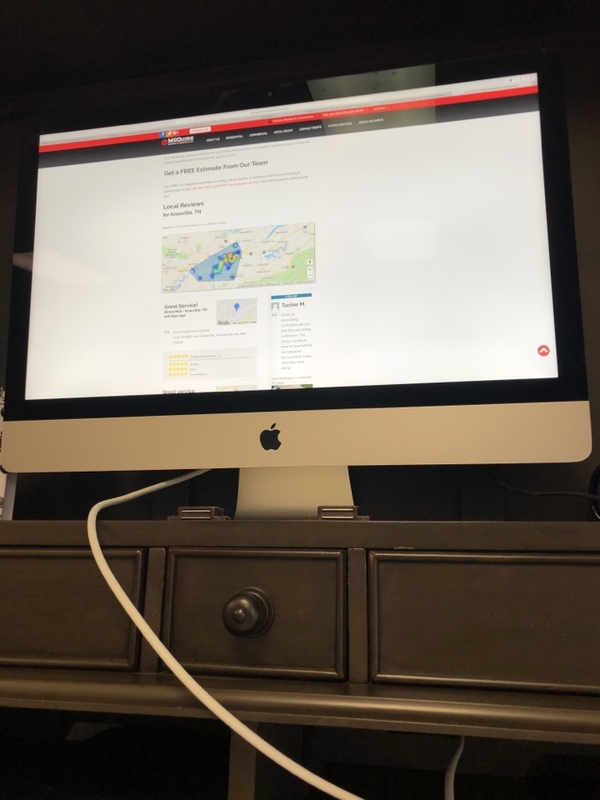 Let’s improve your property, today! 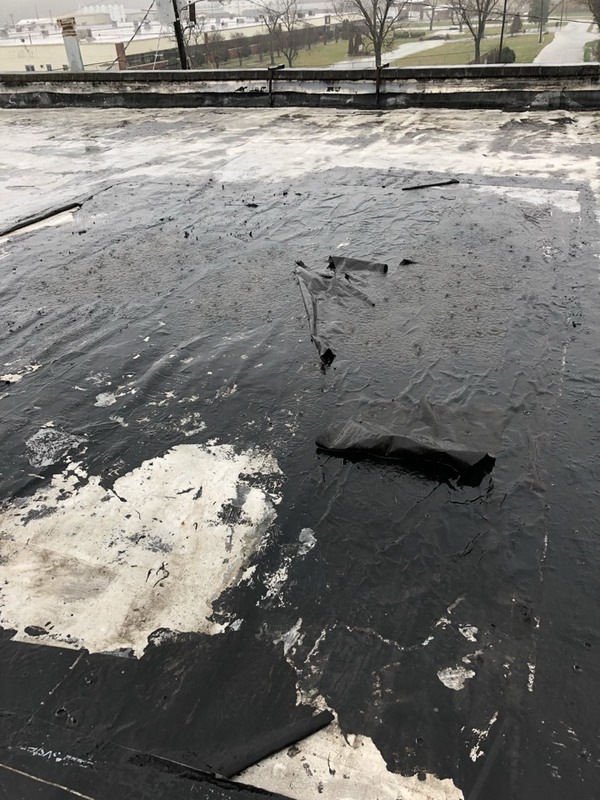 Performing emergency residential and commercial roof repairs all over town. 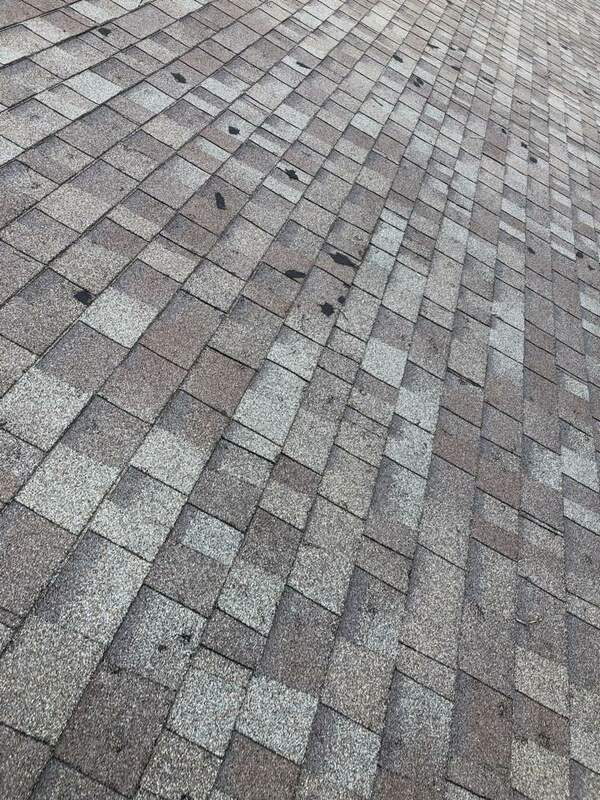 Estimating a shingle roof replacement. 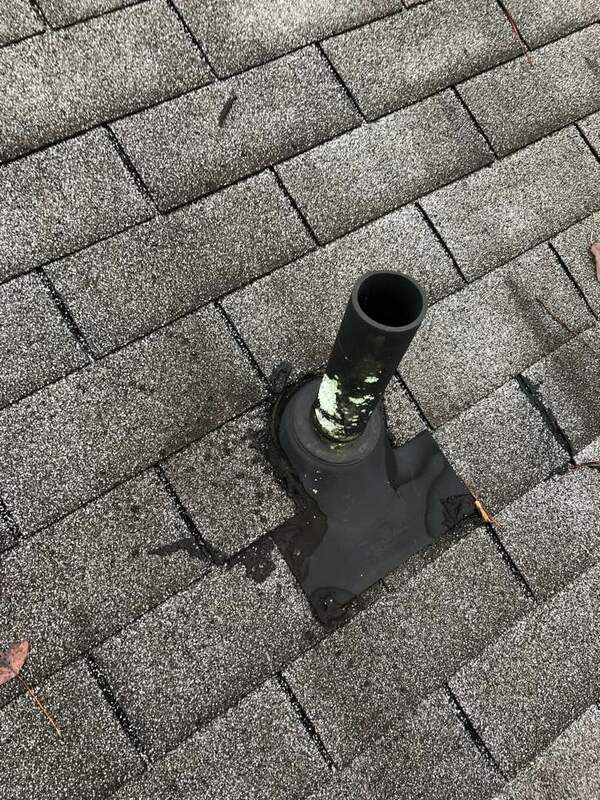 I believe it’s time for a new roof. 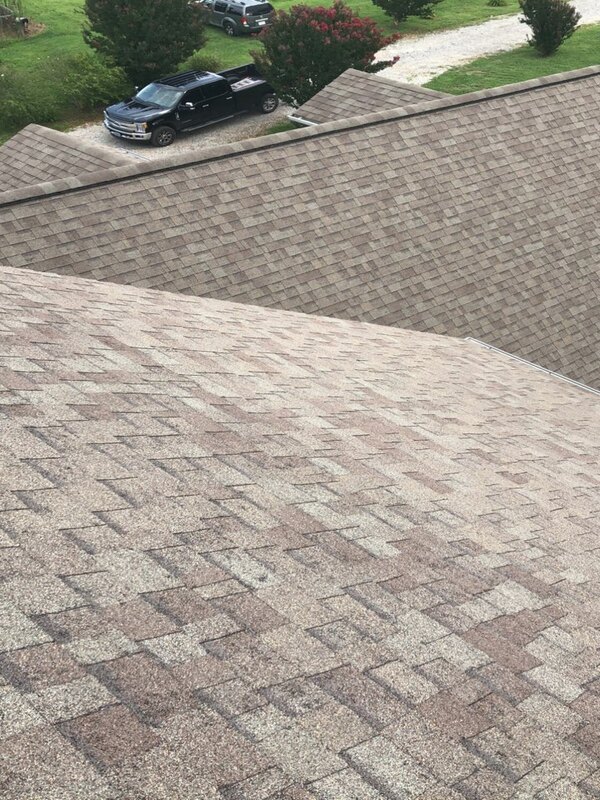 Estimating a shingle roof replacement. 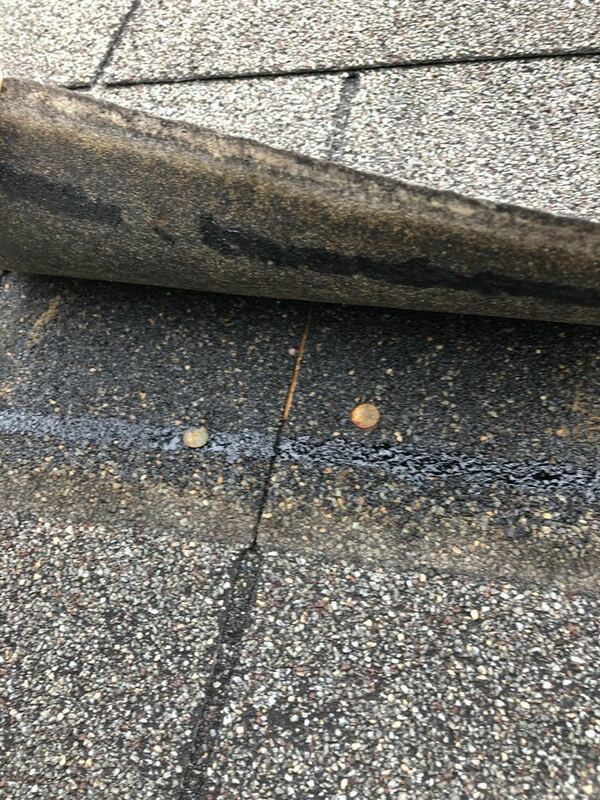 Inspecting a residential shingle roof for leaks and possibly a roofing replacement. 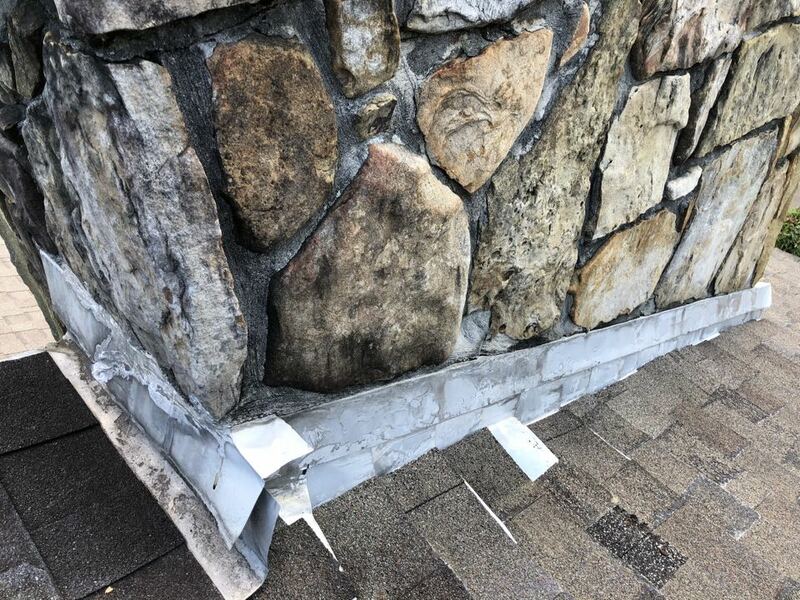 Repairing shingles & decking along an eave from incorrect starter installation. 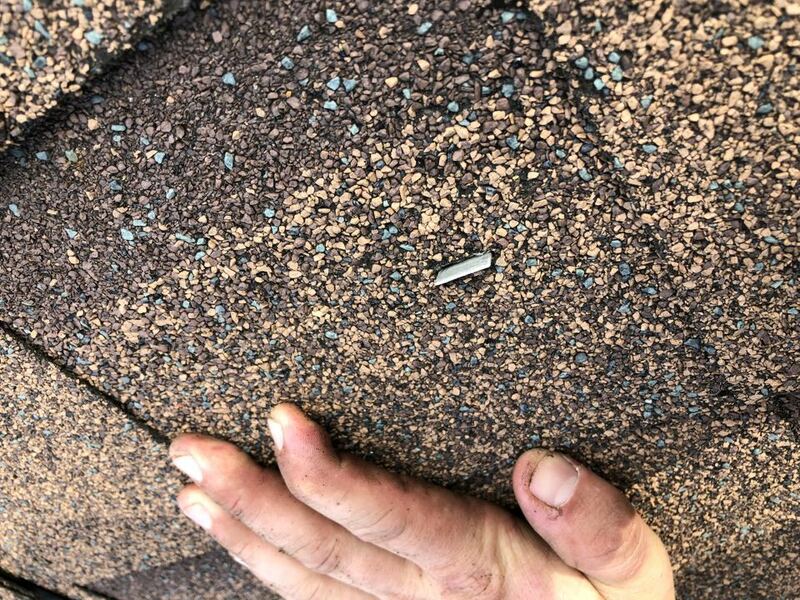 Also a few areas of the roof had to be removed from framing nails backing up through the shingles due to improper installation. 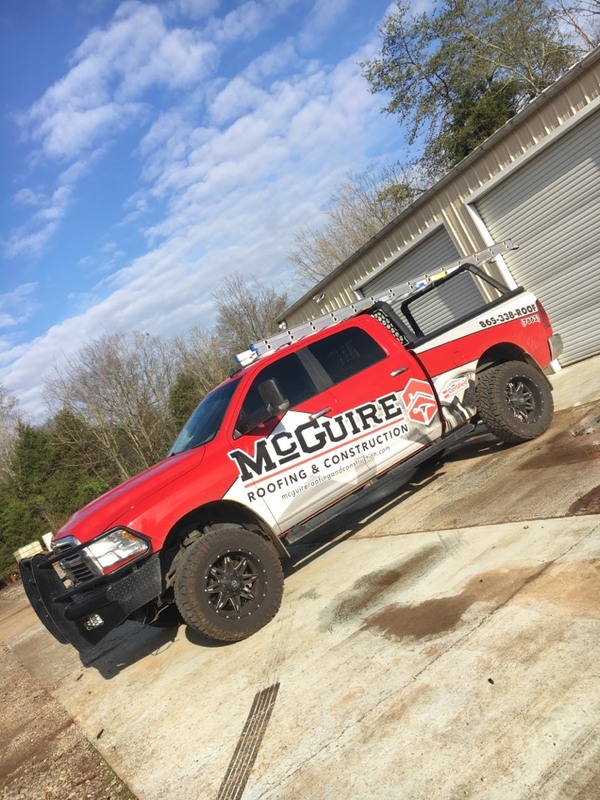 After a nasty storm last night today has turned out to be a beautiful day here at McGuire Roofing and Construction! 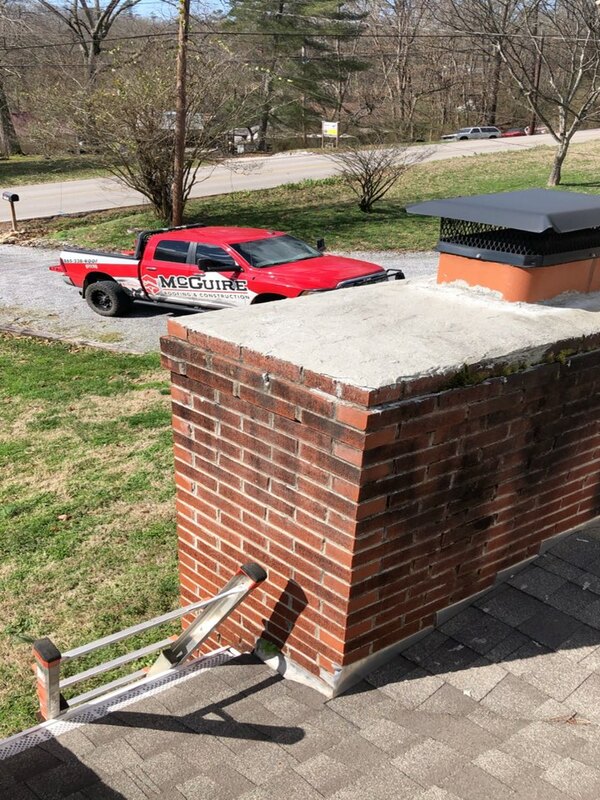 Looking forward to serving Knoxville and surrounding areas today. 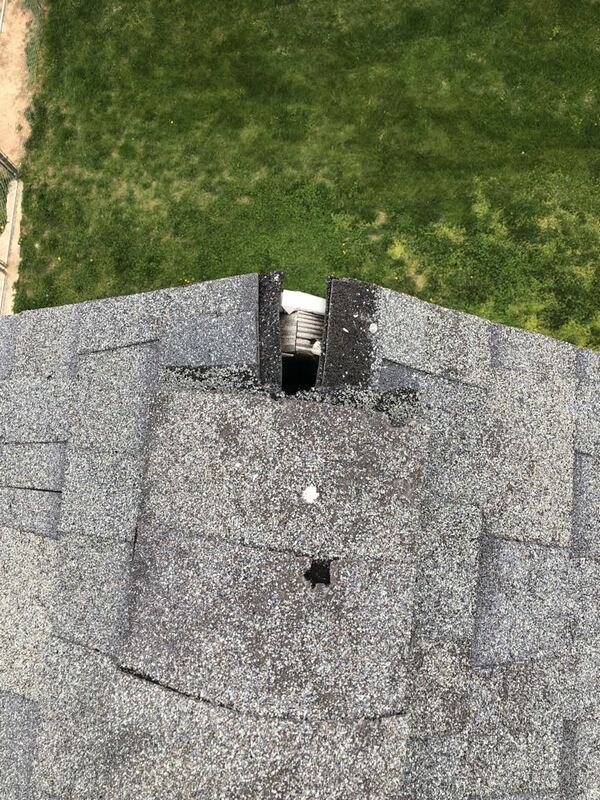 Contact us if any storm damage has occurred. As always free estimates! 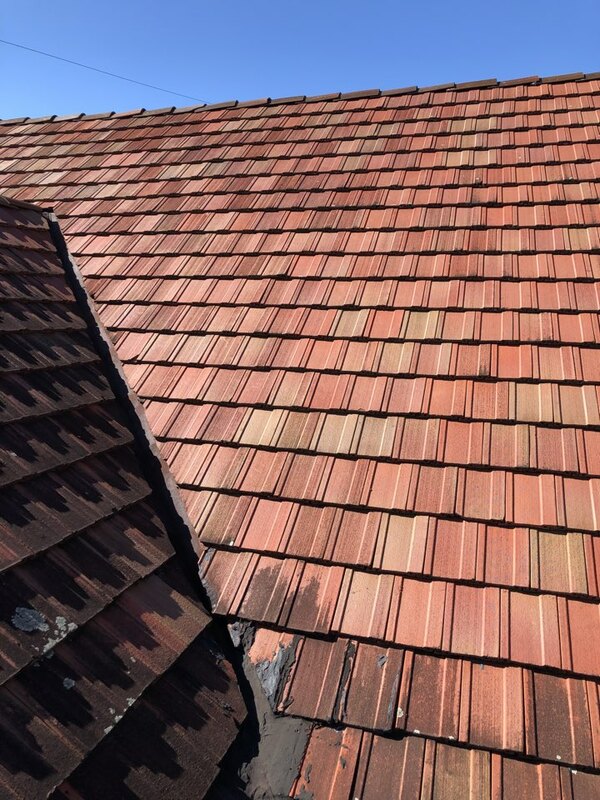 Inspecting a 100 year clay tile roof. 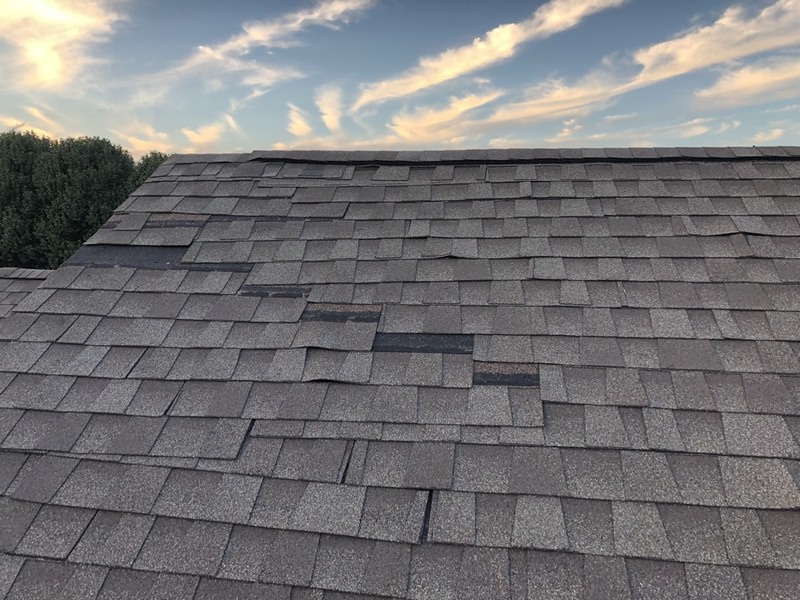 Unfortunately the wind and hail over the years have started causing the tiles to chatter in high winds allowing water to blow up underneath and into the house.